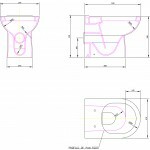 Looking for best back to wall pan for small bathrooms? If yes then you are at right place. 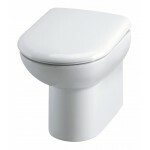 One of the top selling brands of Back to wall toilets brings D-Shaped Back to Wall pan BTW005. It is one of the most used product for small bathrooms. Also, this product is made up of best material which increases its durability.